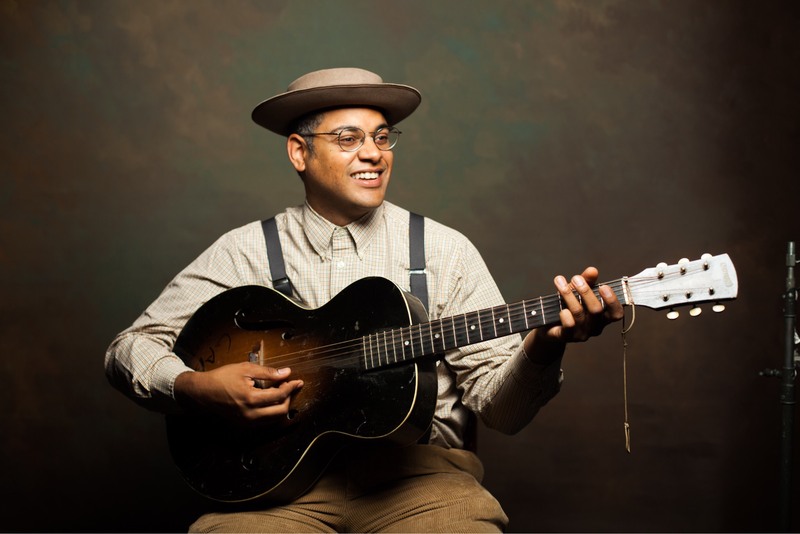 Grammy Award winner Dom Flemons is originally from Phoenix, Arizona and currently lives in the Washington, D.C. area. He is known as “The American Songster” since his repertoire of music covers nearly 100 years of American folklore, ballads, and tunes. Flemons is a music scholar, historian, record collector and a multi-instrumentalist. He is considered an expert player on the Banjo, Fife, Guitar, Harmonica, Percussion, Quills, and Rhythm Bones. 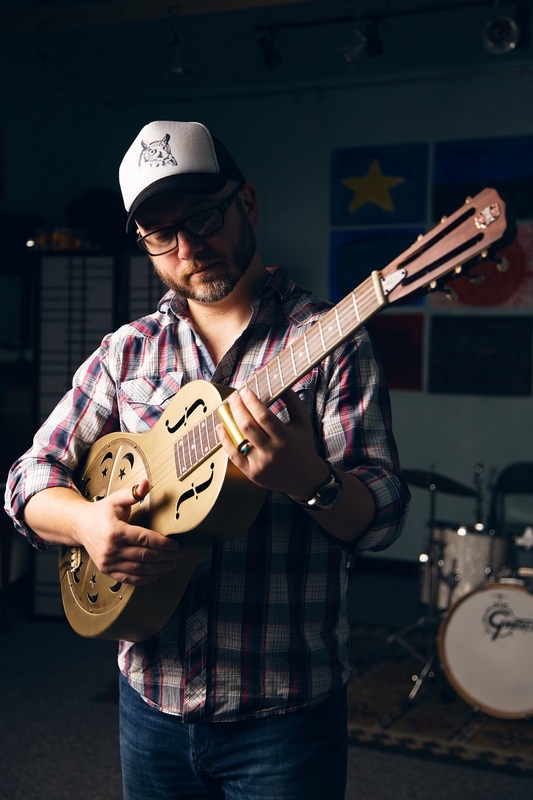 He has performed with leading musicians, such as, Mike Seeger, Joe Thompson, Martin Simpson, Boo Hanks, Taj Mahal, Old Crow Medicine Show, and Guy Davis. He has been a professional touring musician for the past ten years and has traveled around the nation and the world presenting traditional folk and roots music to diverse audiences. Flemons has performed as a soloist at prestigious venues, such as, Carnegie Hall, Cecil Sharp House, the Grand Ole Opry, the Opening Ceremony for the National Museum of African American History and Culture, National Cowboy Poetry Gathering, Newport Folk Festival and represented the United States at the 2017 Rainforest World Music Festival in Kuching, Malaysia. In 2018, Flemons will release his first solo album titled Dom Flemons Presents Black Cowboys on GRAMMY Award winning record label Smithsonian Folkways. This recording is part of the African American Legacy Recordings series, co-produced with the Smithsonian National Museum of African American History and Culture in Washington, D.C. In 2017, Flemons was featured on David Holt’s State of Music on PBS and performed as bluesman Joe Hill Louis on CMT’s original hit television show “Sun Records”. In 2016, Flemons released a DUO album with British musician Martin Simpson titled Ever Popular Favourites on Fledg’ling Records. He launched a podcast, American Songster Radio, on WUNC Public Radio and filmed two instructional DVD’s through Stefan Grossman’s Guitar Workshop. In 2014, Flemons released a critically acclaimed solo album Prospect Hill through Music Maker Relief Foundation. In 2005, Flemons co-founded the Carolina Chocolate Drops who have won a GRAMMY for Best Traditional Folk in 2010. He left the group to pursue his solo career in 2014 and in 2016 the Carolina Chocolate Drops were inducted into the North Carolina Music Hall of Fame. "Ross Hammond once again confirms his immense talent, carving out a place among the great American Primitive guitarists alongside Robbie Basho, John Fahey and Richard Osborn..."